The Zebra TLP 2824 desktop thermal printers boast surprisingly compact footprints without compromising performance or value. 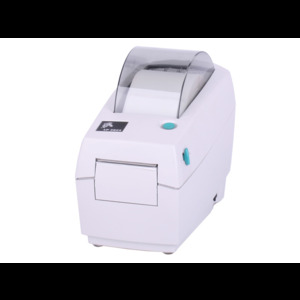 With a 2-inch print width, the Zebra 2824 label printer offers a multitude of user-friendly and innovative features, all packed into a small but sturdy double-walled casing. With its competitive electronic platform, both Zebra 2824 models deliver high quality bar code label printing at a maximum of 4 inches per second and support a range of options and accessories for flexible printing solutions in virtually any business environment.